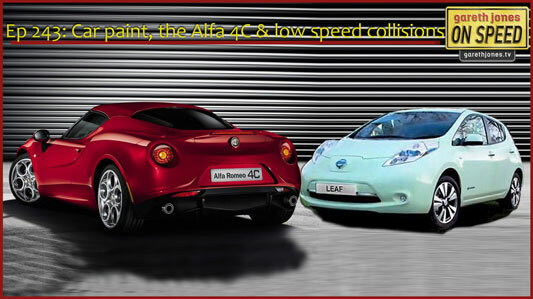 #243 Car paint, the Alfa 4C and low speed collisions. What next for car paint technology? Richard drives a real driver’s car, and we all compare notes on city dings. Plus Sniff Petrol on Manor F1, Alonso’s recent crash and badly driven Vauxhalls.